Coal miners tell Obama to stop the absolute lies in TV ad accusing miners of being props at rally for Romney. 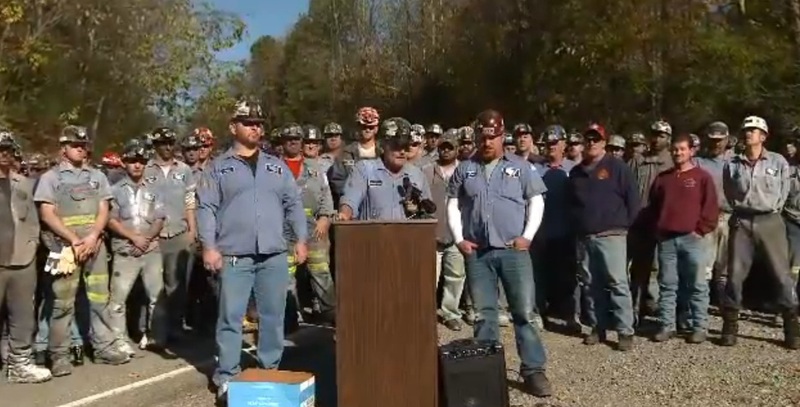 Miners held a press conference to release a letter signed by over 500 miners saying they were not forced to attend Romney event. They wanted to attend because their is a war on coal and Obama is leading it. If Obama is re-elected he will put us all out of work permanently. Next Next post: 14 US Governors Prepare State Militia Defenses, To Be Ready Against Obamas Rogue Federal Forces!